FAR Part 91.417 requires the owner or operator to keep certain aircraft records. Records of maintenance and inspections performed as well as a current status of the inspections, AD’s, and components requiring overhaul or replacement. The best way to do this is to prepare summary documents showing the current status of each of these items. Summary documents make it easy for the FAA/DAR to see (at a glance) the current status of the aircraft’s maintenance history. AC 43.9C Appendix 1 has an example of an AD summary format. This document can be prepared using Microsoft Word or Excel, and once completed, can be modified and used for your other summary documents. Preparing these summary documents will take some time and effort to complete and you might choose to use a professional maintenance person to prepare them for you. Either way, it will be well worth it when the FAA/DAR arrives for his/her review. 1. 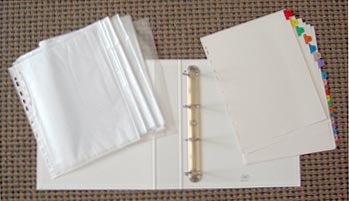 Purchase a couple of 2” or 3” ring binders, several clear plastic sleeves, and about 30 stick-on tabs or tab divider pages. 2. 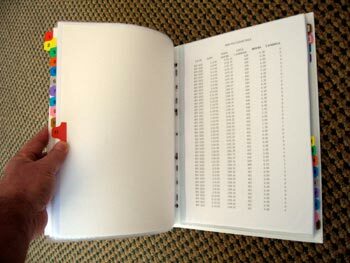 Print out one of the table of contents below (whichever one best suits your needs) and place it in a sleeve as the first page in your binder. 3. Make a separate divider page for each of the items on the table of contents. You can download and print a copy of the page divider text we have prepared, or make your own. We have also included a page that says “Not Applicable” at the end of the divider pages. You can insert this page into any section that may not be applicable for your situation or aircraft. 4. 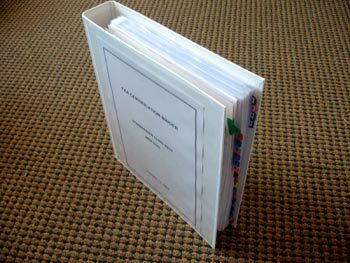 Using the certification checklist as a guide, place copies of the information behind each tab in the binder. The amount of information you assemble will vary depending on the size and/or age of your aircraft. If the amount of information is to large to put into the binder, make a page that refers to a box or location where the documents can be found.